Following the conclusion of the Second World War, the nature of inequality in Africa was dramatically altered. 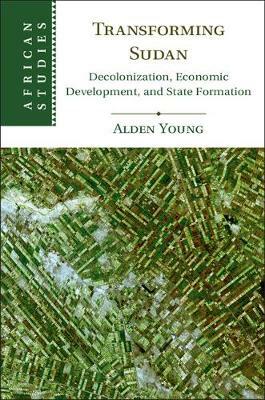 In this book, Alden Young traces the emergence of economic developmentalism as the ideology of the Sudanese state in the decolonization era. Young demonstrates how the state was transformed, as a result of the international circulation of tools of economic management and the practice of economic diplomacy, from the management of a collection of distinct populations, to the management of a national economy based on individual equality. By studying the hope and eventual disillusionment this ideology gave to late colonial officials and then Sudanese politicians and policymakers, Young demonstrates its rise, and also its shortfalls as a political project in Sudan, particularly its inability to deal with questions of regional and racial equity, not only showing how it fostered state formation, but also civil war.